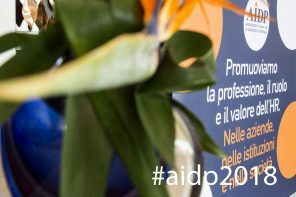 AIDP Emilia Romagna supporta il Master in HR & Organization di Bologna Business School, accreditato da AIDP attraverso una collaborazione continua e l’istituzione dell’AIDP Award for Bar-Raisers. 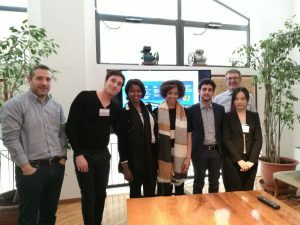 Pubblichiamo il report dello study tour del team che si è aggiudicato l’edizione di quest’anno presentando il miglior project work e volando a Parigi, al quartier generale di Crown Holdings. Words alone can never express how grateful we are for this opportunity. who was involved to make this happen. 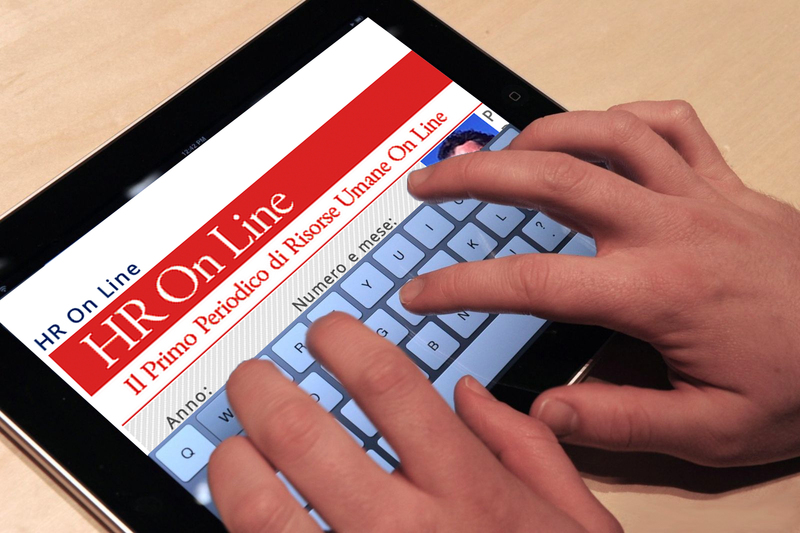 The HR & Organisation Master is sponsored by the European Association for People Management (EAPM) and is accredited by the Italian Association for Personnel Management (AIDP), which established a Project Work Team Award ” AIDP Award for Bar-raisers ” and a study tour in Europe. This is a much-anticipated award that is given to the best team every year. We are proud to be the team that was honoured with this year’s 2017 award. Our presentation was entitled The Role of Active Listening in Organisations. With a lot of research and guidance, we proposed a system for GEA Company to increase engagement levels through active listening by promoting good relationships between employees and their line managers. 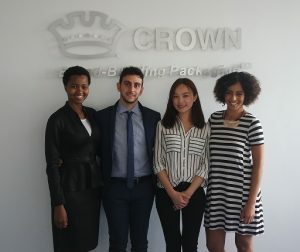 We visited Crown Holdings, a leading supplier of beverage packaging, food packaging, aerosol packaging, metal closures, and specialty packaging products in Paris for 4 days. The study tour started from 11 – 14 July 2017. We participated in several sessions with HR and Finance managers who educated us on processes, strategies, goals and products of Crown. The speakers also shared with us their own life experiences, which left us inspired and motivated. This report is a summary of what we covered during the sessions, what we learnt and some of our key highlights in Paris. Gwennaele Hennry-Figeac and Victor Mahet gave us a warm welcome. Gwen gave us the introduction of the company. This was our first time to know about Crown and we found it very interesting. We learnt that the company specialises in Metal Packaging, Beverage Cans, Food Cans, Speciality Cans, Aerosol Cans, and Metal Closures. They are located in America, Pacific Asia, EMEA. Their business is distributed in 36 countries. We visited the EMEA corporate which supports 63 plants and 12,000 employees. Their core values are People, Customer satisfaction, Business ethics and Continuous improvement. We had a session on Recruitment covered by Gwenn. 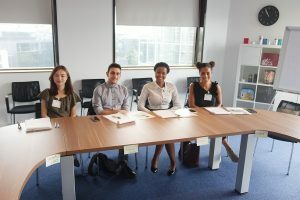 She introduced to us some of the current tools such as HR Smart software and processes that the company uses in recruitment. We also learnt about the different recruitments tactics that they use in order to recruit and retain key talent in the market. They use various social media channels to reinforce the employer branding. We did a group exercise to analyse how critical millenniums are and tried to brainstorm together on how they can be attracted the best talent to the company. This session facilitated by Marion Derouet was very useful because she took us through the practical way of how salaries and job evaluations are done in an organisation. In fact, she talked about salary scales and how to benchmark with the market in choosing minimum, medium of maximum when agreeing on salary range. Marion gave us a brief of the salary approval process, how she keeps track of the process and some of the challenges. We learnt that salaries are determined according to grades and levels. Another key takeout we learnt from her in this session was the importance of knowing the business and the tasks that the people in the business do. The on boarding process has recently experienced an evolution which is moved from an induction practice to a comprehensive on boarding process which consists of a program that lasts from 8 to 12 moths called SOP (Standard Operation Policy). The program has become an integrated process divided in four steps that involves not only the HR department but also other functions. They elaborate this process to increase performance and retention. In this session, Laure Pamart shared with us some of her responsibilities and her roles. We learnt how they prepare payroll input on a monthly basis to submit to the outsourced payroll function. She gave us some insights on how to manage Expats and the administration process done in handling them. Sophie Sorton gave us an educative session on the industrial relations in France. She gave us an insight of some of the IR (Industrial Relations) issues that she deals with in the company. Key takeout from these sessions were the different scenarios that she gave us. We went through the disciplinary hearing process and the different levels of the determination depending on the case. The application of the Industrial Law can be more effective if all the levels in the company are involved and made aware of the company strategies. We learnt about how the French regulation directs on the unions and the difference between temporary workers, permanent employees, and the involvement of agencies in temporary workers. She shared with us the importance of considering the social context of IR are taking place and how an HR department plays a social role. She told us about some of the challenges that professionals face every day in the application of the HR practices and we appreciated her advices as they represented some meaningful guidelines for our careers. We had an exciting lunch break in which we learnt about the other functions in the company. It was very interactive and a good networking opportunity. We understand the importance of the integrated communication among of all departments in Crown in taking and making decisions for the business and how the people are really engaged and put extra efforts to achieve high goals. We got a brief from the process of manufacturing, about the recycling metal and until it goes to the customer. We learnt that this company is more of a B2B meaning that they do not really advertise directly to the public but at the same time it reserves an accurate care in the manufacturing process for its indirect clients. During this time spot, we received some suggestions and hints about how to identify the Crown products. After that, we went for a tour in the building and we saw some of the products in the museum. Jérôme Bordes presented the role of finance and reporting in Crown. He introduced to us the budgeting process and key factors that are considered in HR reporting. He discussed with us the challenges of operating in a digital era driven by technology, and how technology delivers automation of the labour, which leads the company to invest in high specialized workers and in new technology. Consequently, the understanding of the importance of these dynamics is necessary to raise the awareness about investment management and especially how the company is embracing a long-term vision through the shift of its investment in technology and lifelong training programs to improve its efficiency and effectiveness. This was one of the most powerful sessions facilitated by Caroline Mac Sweeney and Celine Redonnet. We did a co-development exercise in which they gave a case that we had to gather facts before giving ideas and our suggestions. The case was based on innovation and creativity as it is one of the pillars that had a low score in the recent engagement survey done as a pilot test. The aim of the task was to share innovative solutions according to our knowledge and experience and it were delightful to realize how many points of our developed strategy in the awarded project were covering many needs highlighted by the previously mentioned survey. We gave our suggestions based on our hypothesis and we appreciated how creative and interactive this session was. In this session, we learnt about the Talent review process and how the 9-box grid framework is applied in the organisation. Succession planning is to identify people with leadership skills for managerial positions. It is used to review the talent profiles in the organisation and to identify training needs as well as career advancement opportunities. They have a structured program called Forward Program which is dedicated to new hired talent to increase mobility and encourage an international mind-set. The duration of the program is 3 years for each individual and it is based on mentoring and continuous feedback. Marion introduced us to the various HRIS Solutions in Crown. They are facing some challenges such as data protection and separate systems. She showed us practical examples of the calculation of the remuneration of international transfers and employees sent on secondment. She emphasized the point that we should aware of all the components that affect international assignments in order to guarantee the success of international mobility. We are glad that we had the chance to present our project work to the HR team. We received positive feedback and constructive comments regarding our work. This was our last day in the company. We got gifts from the company that we will cherish forever. 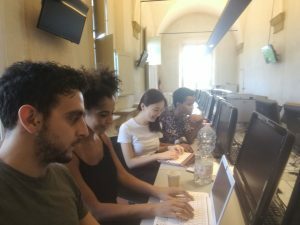 Fadzai Valen Nyamusamba From the moment when Ms Rossella Seragnoli and Professor Morandin explained to us about the project work and Bar Raisers Award, I was motivated to start and in order to do well, I knew I had to put my best effort. This experience taught me that indeed hard work and determination leads to good results. I have learnt so much throughout this journey and I am grateful for this opportunity. Jiena Luo I am very grateful for what I have learned from this project. In this period, I put my best effort to work with the great team ever where allowed me to apply the knowledge I have learned. It was a wonderful journey to learn new knowledge and to explore the unknown realms of possibilities. I appreciate having this unique opportunity in my master study, it allows me to discover my strengths and to pursue learning. Nicola Leone From the first beginning to the final visit in Crown, I grew constantly learning a lot, putting my best effort and having fun with my team. This opportunity allows me to gain international experience and practices, working with a wonderful multicultural team, for a global organization as GEA, and figuring out how a multinational works successfully. 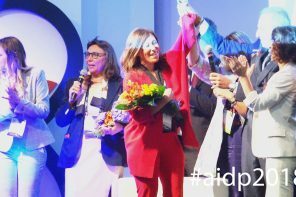 I am grateful for this unique experience, the best during this master, for the opportunity to put in practice all my learnings. Hinda Benba The right moment that we received the project assignment I realised that it was perfectly aligned to my professional aspiration. However, the commitment shown by our mentor, the opportunity to deal with a real case study and intercultural exchange, which brought constantly innovative ideas in our team, were the main aspects that motivated me to overcome the difficulties to achieve higher goals. For all these reasons, I will never stop to consider this project as one of the most meaningful moment of my educational experience.